We are a beauty salon and spa in Johannesburg that has a highly skilled, experienced and passionate team. We use world-class products such as Babor, Anesi, OPI, Shellac, Biosculpture and many products formulated uniquely for Beauty Professionals in Germany. We are recommended by medical and dermatology professionals for our treatments of acne, milia, skin brightening and pigmentation. We can reduce and shrink the appearance of enlarged pores with permanent results. All our facial and skin therapy treatments are personalised and highly effective. Beauty Professionals is led by Colleen Matus-Serebro, one of the most highly recognised and qualified therapists in South Africa. Colleen is a qualified teacher of beauty therapy and trains her therapists to be the best in the field. She has been practising and teaching beauty therapy for 40 years. Beauty Professionals prides itself on consistently high standards and results, creating a loyal clientele dating back in many cases, 40 years. The number one rule at Beauty Professionals is that if we do a job, we do it properly or not at all. Our goal is to ensure that we provide the best possible service in a nurturing and comfortable environment. Our facials range from a basic facial to the ultimate luxury of a Royal Sublime. Our staff are highly trained in treating acne and the removal of milia. 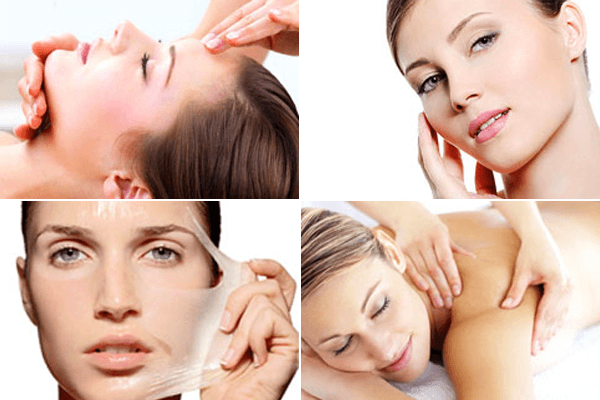 We offer a wide variety of facial skin peels suited to different skin types. Every part of our body needs a little special attention at times! Hot stone massage is a natural therapy in which warmed stones are used. Reflexology is an alternative healing method involving the application of pressure. Take full advantage of the beneficial properties of sea clay, algae and paraffin wax. We offer a wide variety of treatments for the hands and feet. Beauty Professionals use the following premier global brands, as well as uniquely formulated European products made exclusively for us!